There is no sense in burying the lead: There are no good low carbohydrate options available on any major airline. I try to eat a low-carb diet when I’m at home and I can do so quite successfully. However, it is extremely difficult to do when you are traveling. It is especially hard to do when flying as no airline that I know of offers a low carbohydrate option for meals. The reason, as far as I can tell, has to do with cost. Proteins cost more than carbohydrates. Both meat and green vegetables are more expensive than grains and potatoes. Even meals which you might think would be low-carb usually aren’t. I’ll be going through many of the meal options available on flights and explain why they don’t cut it as a low carbohydrate option. I’ll also be giving my tips and suggestings for keeping to a low carb diet when you have to fly. You’d think that a gluten-free meal would be a good option. No bread and no pasta is probably going to be low carb, right? Nope. Most gluten free meals I’ve had on flights just replace wheat products with rice products. Your bread is now a rice cracker, and your pasta is now a bed of rice. Gluten-free meals are not a good low carb option on flights. This sounds like it would be a good option as well. According to the diabetic meal description on Delta’s website, they are “Meals suitable for those who need to manage blood sugar levels. Foods excluded are high in sugars for example syrups, jams, cakes, and chocolate, unless specifically designed for diabetics.” The problem is low sugar isn’t necessarily low-carb. Again, they are probably going to load the meal with grains. This might be the best option in that it eliminates the highest glycemic index foods, but it is hardly a great option. For the most part, these meals are defined by what is not in them, rather than what is in them. Kosher and halal meals will not have pork, Hindu meals will usually not have any meat. With the exception of Kosher for Passover meals, grains and other carbs won’t be affected by getting one of these meals. Here to, these meals are defined by what they lack, not what they contain. There will still be wheat, rice and other complex carbs in the meals. If vegetarian meals actually consisted of just vegetables, this would be a great option, but that is almost never the case. On airlines which offer this option, I found it to be the best choice. You don’t get a lot of food, but what you do get will generally be ok. Expect a box of raw veggies including carrots, celery, broccoli, and other similar foods. I took this option when flying on Qatar Airways and it worked pretty well. What Are Your Low Carb Options When Flying? 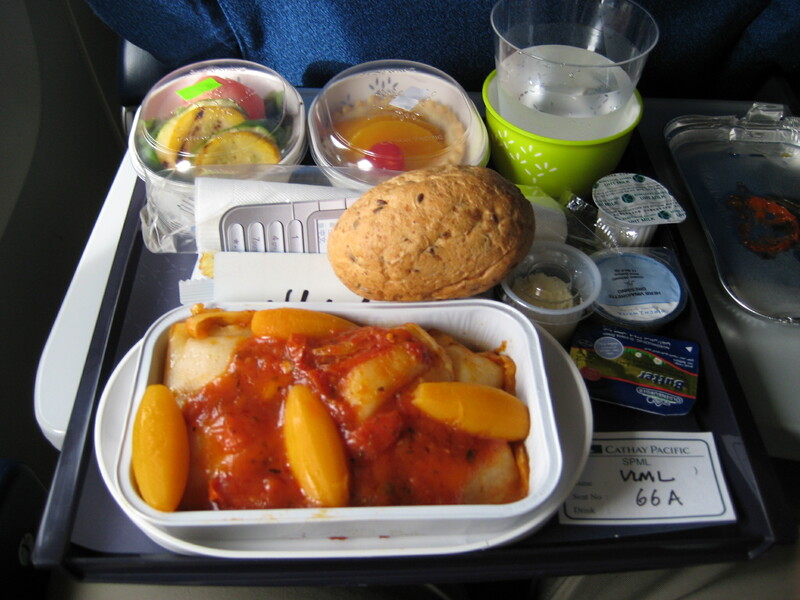 While getting meals from the airlines isn’t a great option, there are a few things you can do. None of them are optimal, but it is better than nothing. Fasting. In the last two years, I’ve starting fasting on flights. For flights of eight hours or less, it is easier to just eat nothing. Eat before the flight and eat after the flight, but don’t eat during the flight. You aren’t missing much in terms of food, and it makes life easier not to have to deal with your food try taking up space after your meal is finished and you are waiting for them to collect trash. Drink water to stay hydrated, but other than that, don’t eat anything during the flight. Bring Your Own Food. Buy some nuts, cheeses, or other foods at the airport and bring it on the plane. You probably don’t want to bring a full-blown cooked meal on the plane as you’d probably have to eat it right away, and at that point, you might as well just eat in the airport. Pick Around The Served Meal. While you can’t eat everything, you can avoid the bread and rice and just eat the meat and the paltry salad they give you. You also probably want to scrape off whatever sauce is on the chicken or beef they serve. Despite the popularity of low-carb diets, it is unlikely that there will be any good low-carbohydrate options on airlines anytime soon. Your best bet is to not rely on the airlines to feed you and put your diet under your own control. I mostly travel on such an airline which provides the delicious food services. As i have to eat yummy and a good nap to make my travel distance easy. Interesting read. I usually bring cheese and boiled eggs.